Pumpers, Tankers, Quick attacks, UTV's, Rescues, Command units, Fire Apparatus & Fire Trucks built to your specifications. Antique trucks available. - Simon Fire Equipment builds pumper, tankers, quick attacks, rescue trucks, & utv's to your specifications. Check out these demo's that are for sale and ready for quick delivery. We operate out of a 18,000 sq. ft. facility in Farley, Iowa USA. 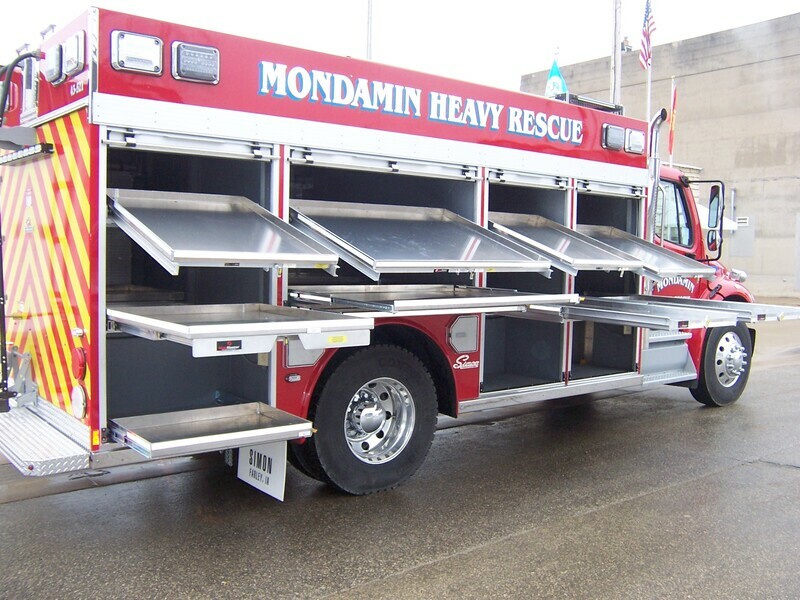 We have been a manufacturer of fire and rescue apparatus since 1980. We have been in business since 1964 repairing heavy trucks and equipment. We still repair heavy trucks, do frame modifications, switch bodies, and remounts. Our experienced staff will be able to help you from the designing of your truck to operational training. Simon Fire Equipment builds pumpers, tankers, rescues, and quick attacks to YOUR specifications.